Regulatory capture describes the phenomenon in which regulators (e.g. medical agencies) protect the interest of the companies they regulate rather than the interest of the public. Not much is known about the mechanisms of this potential threat within the area of pharmaceutical regulation. 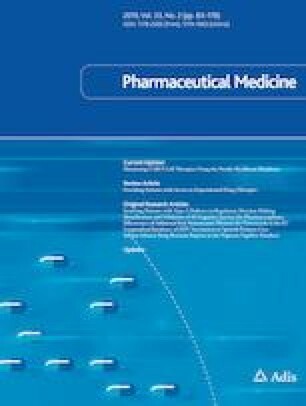 Through a comparison of two EU member states, the Netherlands and Denmark, this study aimed to investigate how regulatory capture could exist in pharmaceutical regulation. The EU Falsified Medicines Directive was used as the case, as it provided an opportunity for national medicine agencies to interact with various stakeholders. The processes of negotiation and implementation of the directive were mapped by interviewing 23 stakeholder representatives and triangulated with relevant documents. A meaning condensation method was applied to show how stakeholders were involved with authorities, and the theory of regulatory capture was used to interpret how the two countries were susceptible to capture. The Danish Medical Agency was central in all relevant processes, whereas in the Netherlands, the Ministry of Health initiated the processes during the negotiation phase and, subsequently, three medical agencies shared responsibilities in the implementation phase. During the negotiation phase, the Dutch process was more focused on consensus among stakeholders while the Danish process focused on preparing the subsequent implementation. Neither member state prioritised transparency during implementation, but rather focused on timely implementation. The processes of EU negotiations and implementation of the Falsified Medicines Directive were handled quite differently in Denmark and the Netherlands. It is possible that regulatory capture could be prevalent in both member states as policy makers were only in limited dialogue with patients. EU countries must decide whether this technocratic approach is acceptable, or whether they should make a more concerted effort to include the public. The online version of this article ( https://doi.org/10.1007/s40290-019-00277-0) contains supplementary material, which is available to authorized users. Rasmus Borup, Janine Morgall Traulsen and Susanne Kaae have no conflicts of interest to declare. The project was reported to the Danish Data Protection Agency and data were handled in accordance with agency guidelines. No ethical approval was required in Denmark or the Netherlands for conducting interviews. Union EPaCotE. Directive 2011/62/EU of the european parliament and of the council of 8 June 2011 amending directive 2001/83/EC on the community code relating to medicinal products for human use, as regards the prevention of the entry into the legal supply chain of falsified medicinal products. 2011. European Parliament and Council of the European Union. 2001. https://ec.europa.eu/health/sites/health/files/files/eudralex/vol-1/dir_2011_62/dir_2011_62_en.pdf. Accessed 10 Mar 2019. EFPIA. The Pharmaceutical Industry in Figures. Key Data 2015. https://www.efpia.eu/media/25822/2015-the-pharmaceutical-industry-in-figures.pdf. 2015. Accessed 01 Sept 2017. Forebyggelse MfSo. Samlenotat vedrørende rådsmøde (beskæftigelse, socialpolitik, sundhed og forbrugerbeskyttelse) [In Danish]. https://www.ft.dk/samling/20091/almdel/SUU/bilag/106/760093.pdf: Sundhedsudvalget2009. EUPATI. Patient education! The A to Z of medicines development. https://www.eupati.eu/. 2018. Accessed 09 Mar 2018.